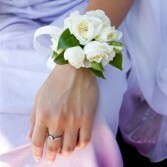 Wrist corsage with white spray Rose and seasonal greens. 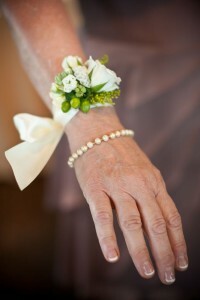 Upon Availability, please specify ribbon color when placing an online order. white spray Roses, or Ranunculus with with fillers and greens. Upon Availability, please specify ribbon color when placing an online order. Garden style wrist corsage with seasonal greens and filler flower. Upon Availability, please specify ribbon color when placing an online order. 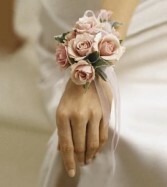 traditional wrist corsage with blush, or pink spray Roses. Upon Availability, please specify ribbon color when placing an online order. 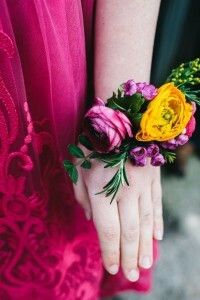 Colorful Ranunculus with other filler flower and greens. Upon Availability, please specify ribbon color when placing an online order. 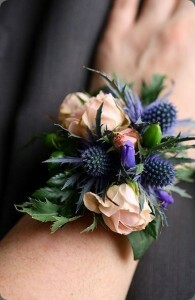 Wrist corsage with spray Roses and Thistle. Upon Availability, please specify ribbon color when placing an online order. Garden styling, with various seasonal flowers, filler and greens. 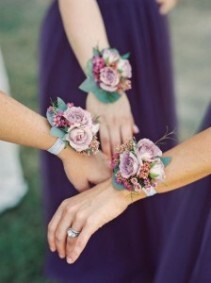 Let us know if you have a color scheme in mind. 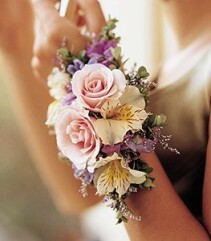 Upon Availability, please specify ribbon color when placing an online order.